The PAW Patrol is on a roll! Join the fun with Chase's Rescue Racer! This little vehicle brings all the excitement of Adventure Bay to your home. With Chase already in the driver's seat, this racer is ready to go! Use the real working wheels to race to the ruff, ruff, rescue! Once you and Chase spot trouble, pull out the extendable hook to move objects and save the day! Get ready for another mission by turning the knob at the back of Chase's vehicle to wind in your hook. What adventure will you go on next? 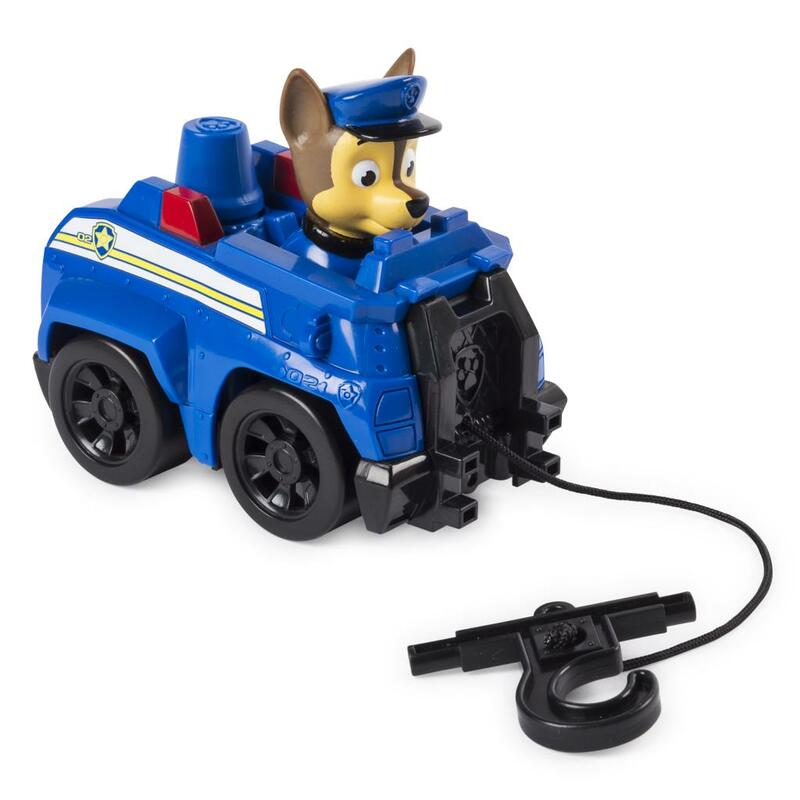 Bring home Chase's Rescue Racer for hours of imaginative play! 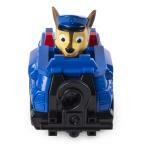 PAW PATROL TOY CAR: Race to the ruff, ruff, rescue with Chase's Rescue Racer! Featuring authentic detailing pulled straight from the show, this toy car brings the excitement of Adventure Bay into your home! MOVING PARTS: Chase's Rescue Racer features real working wheels and an extendable hook! Pull the hook out to move obstacles, and turn the knob at the back of Chase's Rescue Racer to retract it! 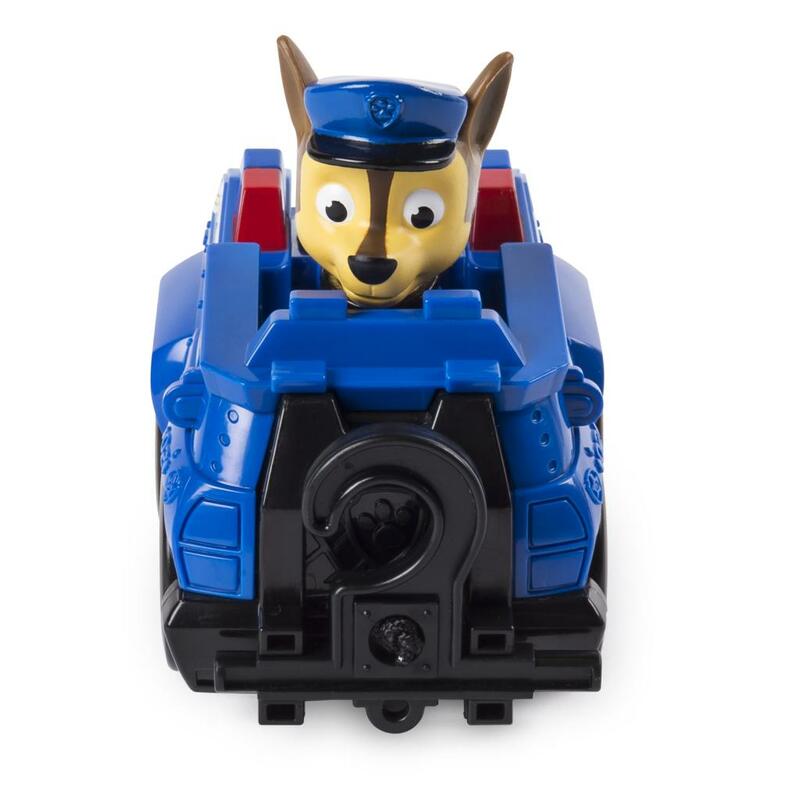 COLLECT THEM ALL: Assemble your own PAW Patrol! Collect all of the pups' Rescue Racers for hours of endless fun! 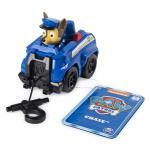 Chase's Rescue Racer is a great gift for kids aged 3+. Encourage your child to engage in imaginative play with this fun toy for kids!